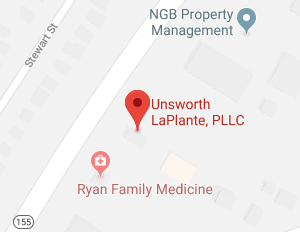 Unsworth LaPlante, PLLC is an elder law firm serving White River Junction and surrounding areas in Vermont. Our firm is focused on helping clients of all ages and at all phases of life to make plans to create a secure future and a strong legacy. From assisting you in creating a financial plan to providing advice on covering the costs of nursing home care, avoiding unwanted medical services, and protecting your family after your death, we offer you help making full use of the legal tools you need to protect yourself and the people you care about most. We are trusted throughout the White River Junction area and have helped countless residents to get the peace of mind of knowing they have a plan in place to deal with the curve balls life throws. White River Junction is a census designated place with a population of just over 2,200. It is the largest of the communities within Hartford, although it is classified as an unincorporated village. The Village includes a historic district listed on the National Registrar of Places which had its boundaries increased in 2002, as well as the Main Street Museum, the center for Cartoon Studies, and the Tip Top Building. For a small town, White River Junction is rich in opportunities to enjoy culture and the arts. A professional regional theatre group called Northern Stage is located within White River Junction, and Elixir Restaurant and Lounge offers the opportunity for residents and visitors alike to hear local music. For those who live in White River Junction, enjoying all that this small town has to offer can be very pleasant. While living in the moment and partaking in the arts and music is enjoyable, it is also necessary to think about the future. This means creating a comprehensive estate plan. You should also address some important elder law issues which can help you to protect your autonomy, your dignity, your assets, and your loved ones. Unsworth LaPlante, PLLC knows how Vermont laws work and what legal tools can be used to provide protection in case of incapacity, to keep your assets secure, and to take care of your family after death. These are issues that do not just affect seniors, but that affect every White River Junction resident. You can address these issues using legal tools like wills; trusts; a Medicaid plan; incorporation of a business; a power of attorney; and advanced directives addressing healthcare and end-of-life issues. Once you understand what elder law and estate planning attorneys do, it is easy to see why everyone of all ages should get legal help with planning to protect assets, maintain control in case of incapacity, and secure their legacy. For senior citizens, however, the risks of incapacity or death are greater. It is also far more likely a senior will require nursing home care. Within White River Junction, 15.7 percent of households are made up of someone aged 65 or older who is living alone. When the aging process takes its tole, a substantial number of seniors will end up having to spend at least some time in a nursing home. Unsworth LaPlante, PLLC can help seniors to protect assets in case they require costly nursing home care. If nursing home care does become necessary, we can review the nursing home admissions paperwork to ensure your rights are fully protected and that you are not waiving any of your important rights when you sign the contract. We can also provide advice on creating advanced directives and a power of attorney so you can let nursing home staff know who is in charge of assets and who should make medical choices in the event that it is not possible for the patient to communicate his or her own preferences regarding care. Helping seniors with issues related to a nursing home is just one of many services that we offer. There may come a time when incapacity or death occurs and you are forced to go to court to address these issues. Ideally, an estate planning attorney will help ensure that a power of attorney is used so guardianship proceedings are not necessary. An attorney can also help to create a comprehensive plan to facilitate asset transfers outside probate. Sometimes, however, the right steps have not been taken and going to court is the only option. Within Windsor, the Probate Division of the county court is located at 12 The Green in Woodstock Vermont, 05091. The telephone number to reach the court is 802-457-1503. If you need to file paperwork with this court or address any probate, estate, or guardianship matters before the court, you should get legal assistance from an attorney who knows how the Vermont court system work. 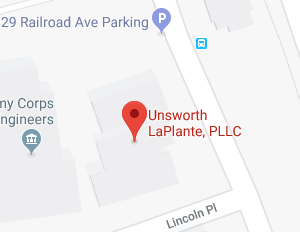 Unsworth LaPlante, PLLC is here and ready to help. Unsworth LaPlante, PLLC provides elder law and estate planing services both in court and out for clients in White River Junction. Whether you have been named as an executor and want to fulfill your obligations to a deceased loved one or whether you are concerned about your own end of life issues and what happens after your death, we can provide the answers you need to protect yourself and the people you care about. To learn more, give us a call today.